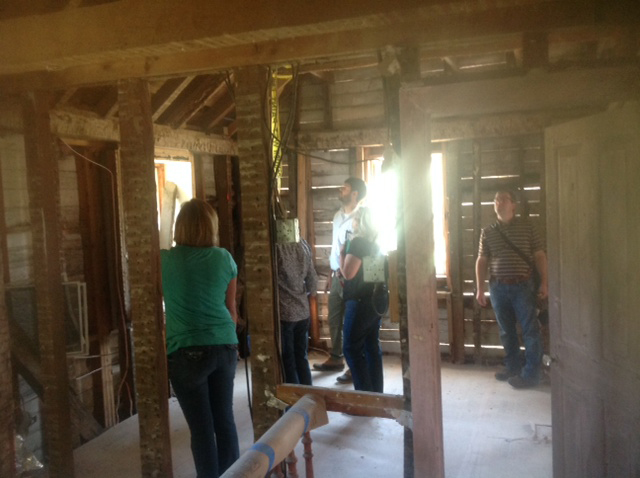 Site visit with the Maryland Historical Trust to examine the recently revealed 18th century framing. Since its acquisition in 2014, restoration planning continues at Rich Hill. 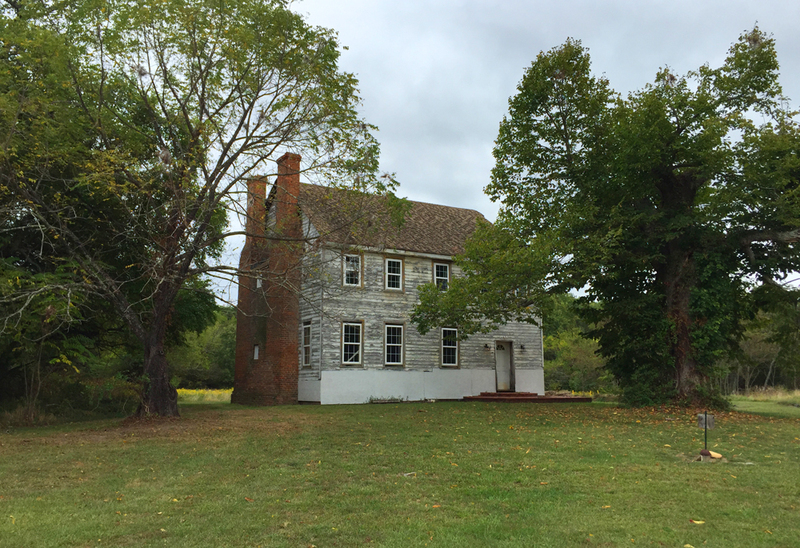 In early 2015, Charles County contracted with The Ottery Group, who have extensive experience in working with local governments to develop sound preservation strategies for historic properties under their care. Preliminary documentation and structural assessments were initiated in April 2015 and are expected to be completed by the spring of 2016. The first phase of the site rehabilitation consisted of demolition of the 1970’s-era interior finishes in order to assess the structural integrity and the condition of the historic frame. 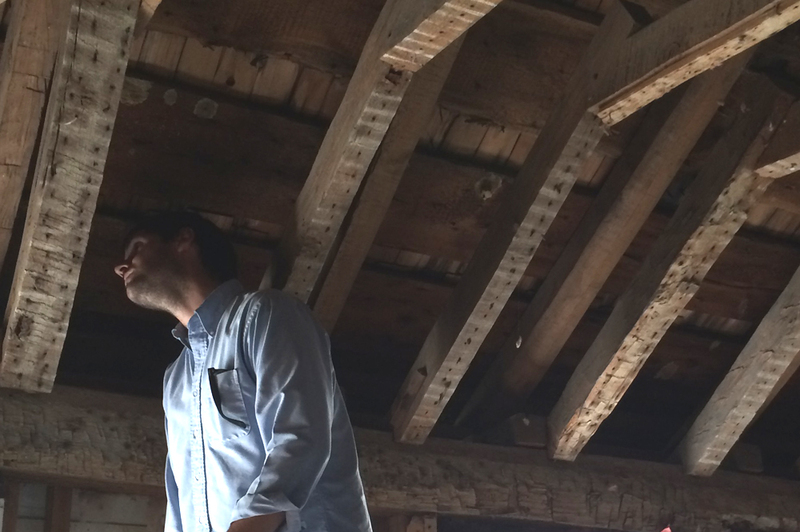 Ed Barnes of Atlantic Heritage examines the frame for surviving evidence of the original 18th century roof system. The original hipped roof was replaced by the existing gable roof in the early 19th century which drastically altered the appearance of the house. The Ottery Group is genuinely excited to assist in the preservation of Rich Hill. Now that we have determined that the house is structurally stable, we have begun to look at both the documentary and physical evidence to determine the construction and appearance of the house as it existed both during Booth’s time and in the eighteenth century. These investigations will enable us to make informed recommendations for the preservation and interpretation of this important historic resource for future generations. 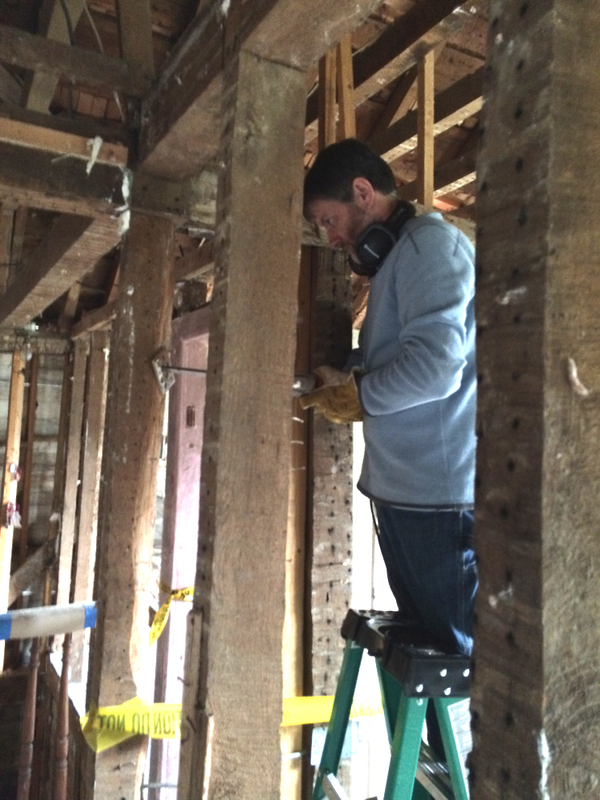 More recently, on October 7, 2015, dendrochronologist Michael Worthington took wood boring samples of the historic frame in order to precisely determine the date of construction through tree ring analysis. Archaeology is also underway to understand the 1865 appearance and use of the dwelling. As part of the 150th anniversary of President Lincoln’s death, archaeologists explored the remnants of the outbuildings as they appear in the historic photo below. Archeological and historical investigations will continue as plans move forward to rehabilitate this property. Part of the County’s research will be to speak to family members or persons who may remember the property and its history. 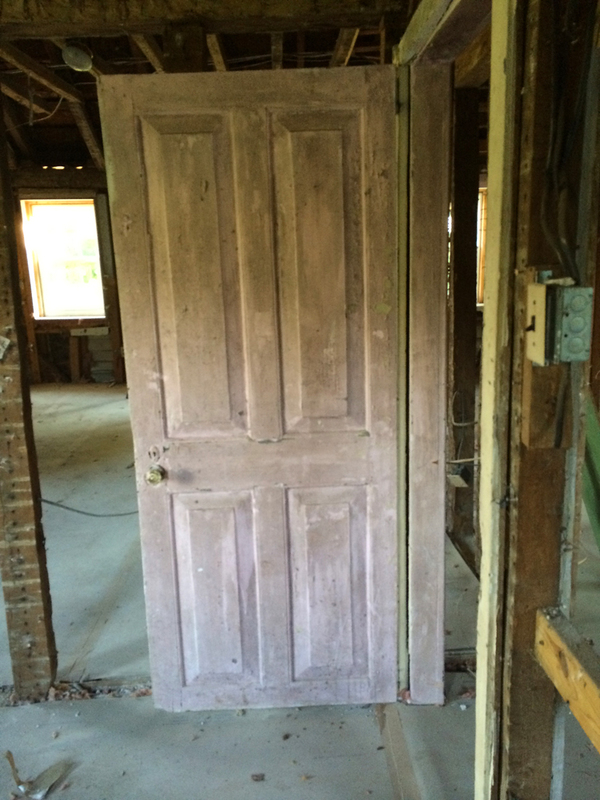 One of several 18th century doors to survive. Prior to the County’s obtaining possession of the property, the Rich Hill Historic Site was part of a 121-acre residential subdivision. 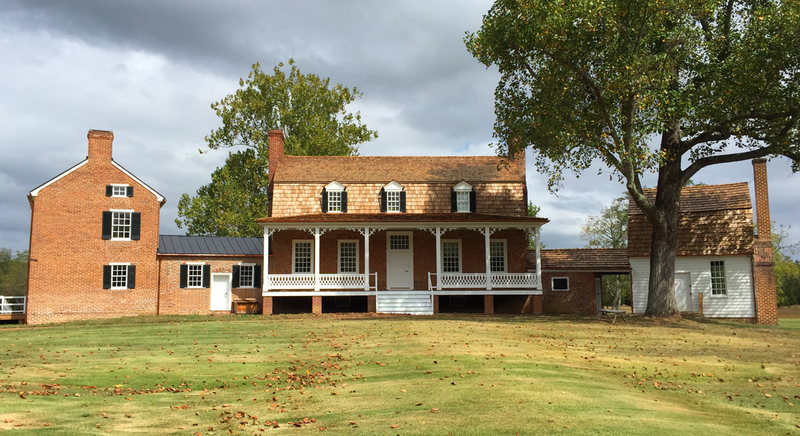 The house today is located on a 2.4 acre lot gifted to the County in 2014. Not only does the County plan to restore the home but hopes to expand the size of the property as well. When Abraham Lincoln’s assassin, John Wilkes Booth, arrived at Rich Hill during the wee hours of April 16, 1865, he sent in motion of series of events that would have long reaching consequences for the occupants of the home. 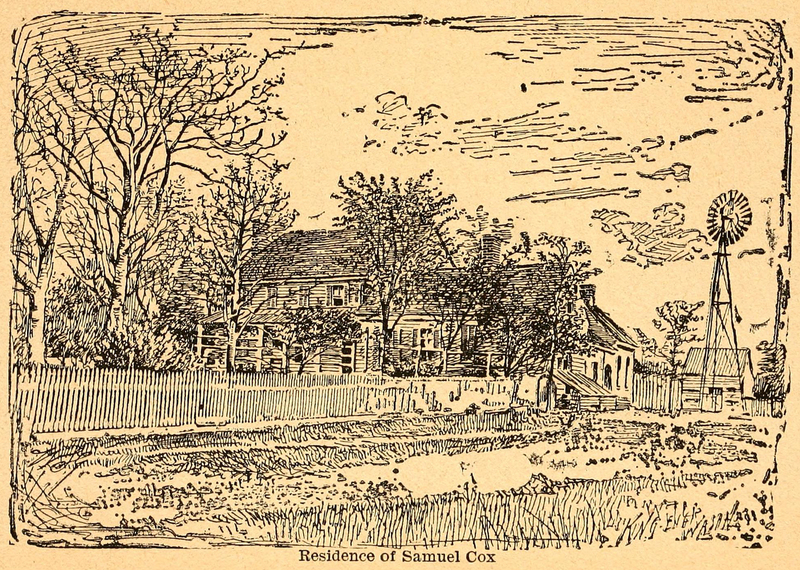 The reputation of Col. Samuel Cox, the owner of Rich Hill, as an ardent Southern sympathizer led Booth to his door. We don’t know what thoughts were racing through Cox’s head when he was face to face with the assassin on his doorstep, but, in the end, he decided he would assist the wounded man in some way. 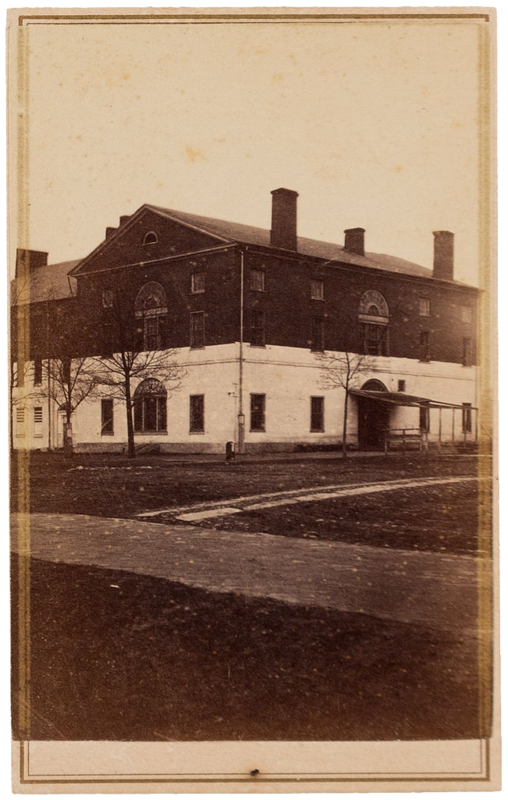 Cox allowed John Wilkes Booth and David Herold to enter his home for a meal but then sent them off into a nearby pine thicket, to be cared for by his foster brother, Thomas Jones. Perhaps Cox hoped that his brief interaction and assistance to Booth would never be discovered. However, with a manhunt as massive as the one for Abraham Lincoln’s killer, no stone was left unturned. In the end, Cox was informed upon by Oswell Swan, the man who unwittingly guided the fugitives to Rich Hill. After Swan reported taking a man with a broken leg across the swamp, the authorities arrived at Rich Hill on April 24th to make arrests. 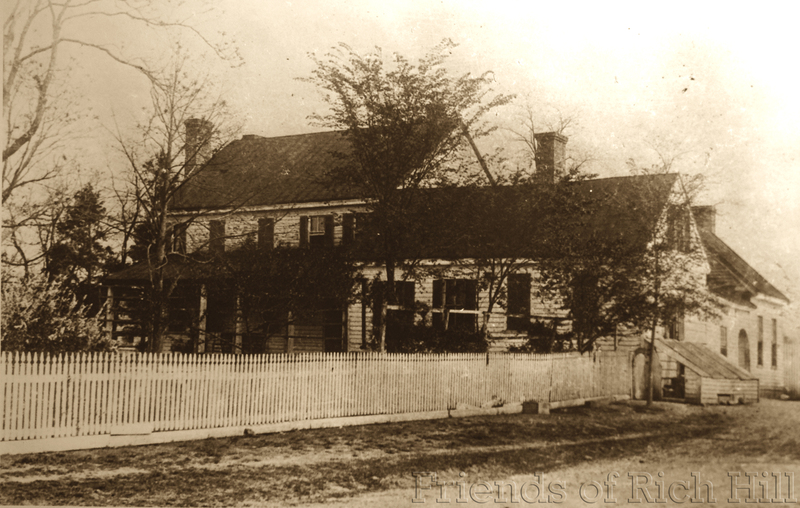 Col. Cox was first held at the Bryantown Tavern where he was interrogated by Colonel Henry Wells. Cox knew he had to admit that some men had come to his house but, like Dr. Mudd, Cox claimed not to know the men’s identities. Cox told the authorities that he denied the men food, supplies, or assistance, and evicted them from his property. 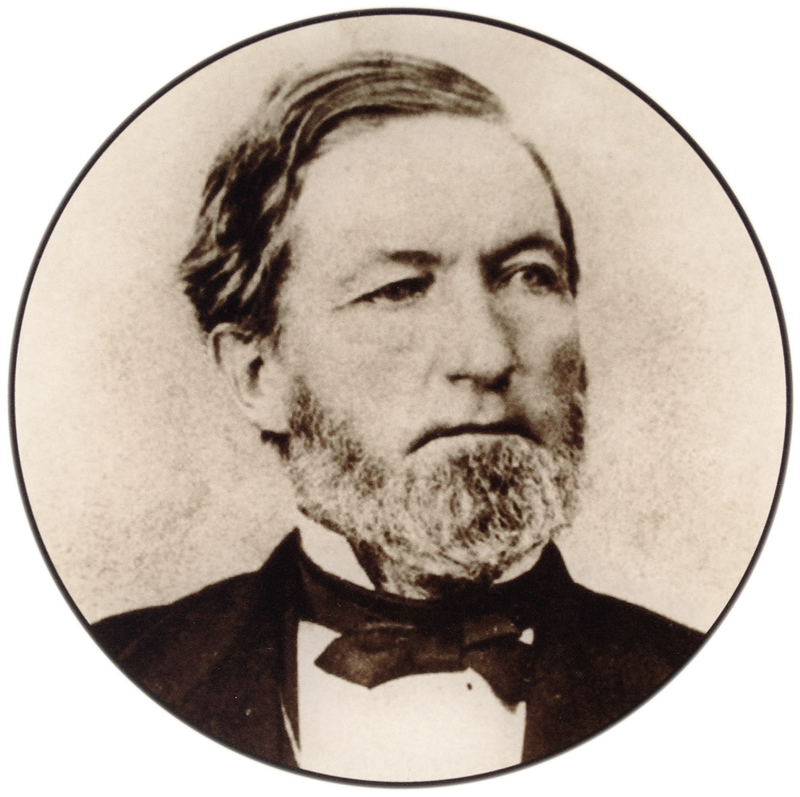 Cox was supported in his narrative by his son, Samuel Cox, Jr. and one of the family servants, Mary Swann. Unconvinced with this tale, especially when Oswell Swan claimed that the two men entered Rich Hill and stayed inside for a few hours, the authorities had Col. Cox transferred up to the Old Capitol Prison in Washington, D.C. on April 27th. It was while he was imprisoned in Washington, that Col. Cox wrote the following letter to his wife, Walter Ann Cox. As much as the government probably would have liked to put Col. Cox on trial, the only evidence that proved Cox’s complicity was Oswell Swan’s statement and even this testimony did not prove that Cox had any foresight of the assassination plot. The government really only wanted to try those who they believed were active conspirators in plotting Lincoln’s death, and Samuel Cox did not fit that charge. In the end, Col. Cox, was released from prison on June 3, 1865, after signing the oath of allegiance. Cox’s role in aiding the assassin and his accomplice was not widely known until Thomas Jones, another man who provided considerable assistance to Booth and Herold, publicly discussed and wrote about the events in the 1880’s and 1890’s. By then, however, Col. Cox was dead and the truth of his involvement could no longer hurt him. This prison letter from Col. Cox provides us with a glimpse of a man worried for his wife’s well being during his incarceration, and his longing to return to his home of Rich Hill. 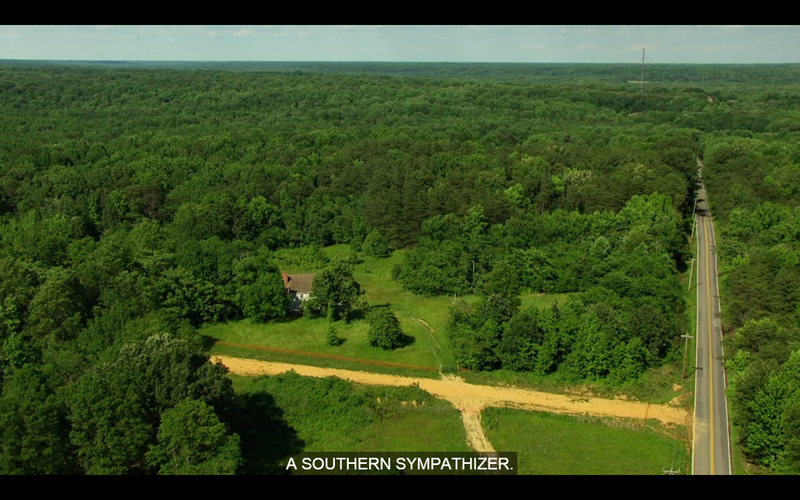 Aerial America is a stunningly beautiful television show on the Smithsonian Channel. The premise of the show is simple, use awe inspiring aerial photography to tell compelling stories of a state’s varied history. The series, which premiered in 2010, has featured each of the 50 states, the District of Columbia, and has also expanded into other destinations. The hour long episodes feature exquisite fly overs of historic sites and vistas, along with a compelling retelling of their significance. It was wonderful to see Rich Hill on TV and highlighted among the other important historic buildings relating to the assassination of Abraham Lincoln. 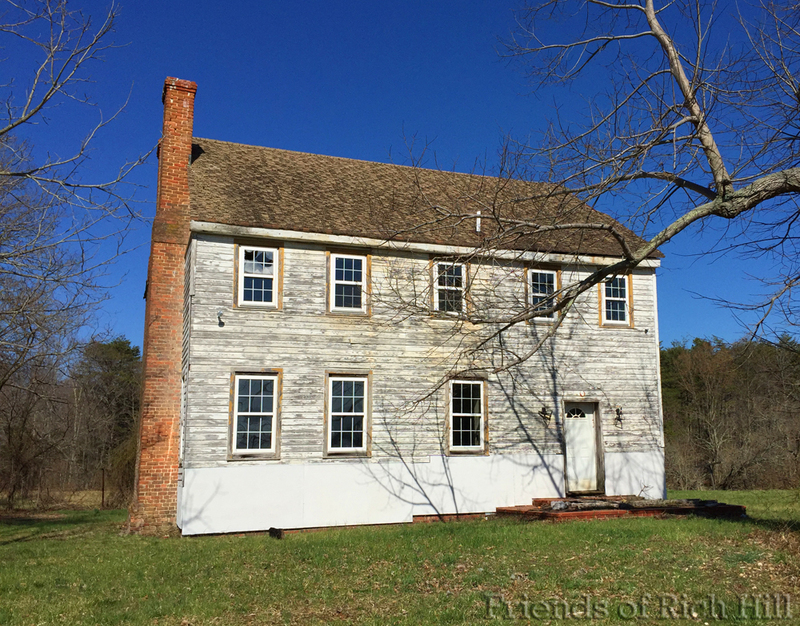 Like Ford’s Theatre, the Surratt Tavern, and the Dr. Mudd House, Rich Hill is an important site in the story of one of the most dramatic events in American history. We’re grateful that Aerial America took the time (albeit briefly) to show, and, in their own way, promote this irreplaceable home. And just think how nice the aerial photography of Rich Hill will look when the house is complete rehabilitated! You can visit the Aerial America page of the Smithsonian Channel’s website to check for future airings of the Washington, D.C. episode (next one appears to be November 28th at 5:00 pm EST). You can also purchase the episode through video streaming websites like Amazon Video. If you would like to see images of some of the other Lincoln assassination related sites from this episode, check out The Lincoln Assassination on Aerial America on Dave Taylor’s BoothieBarn.com. One of the fun parts about researching the history of Rich Hill is discovering new images of the historic home that very few have ever seen before. 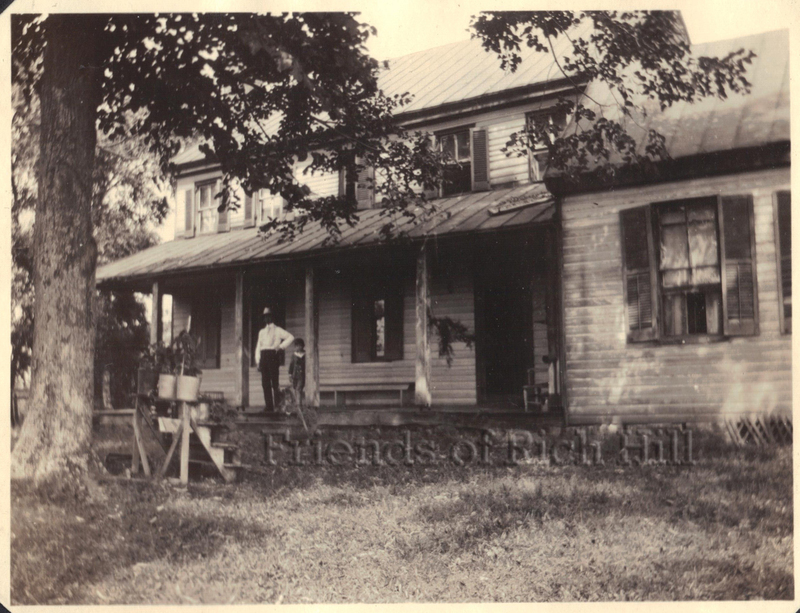 For a relatively unassuming house in Southern Maryland, Rich Hill has been photographed fairly often over the years. This is mainly due to the home’s association with Lincoln’s assassination and the escape of John Wilkes Booth. 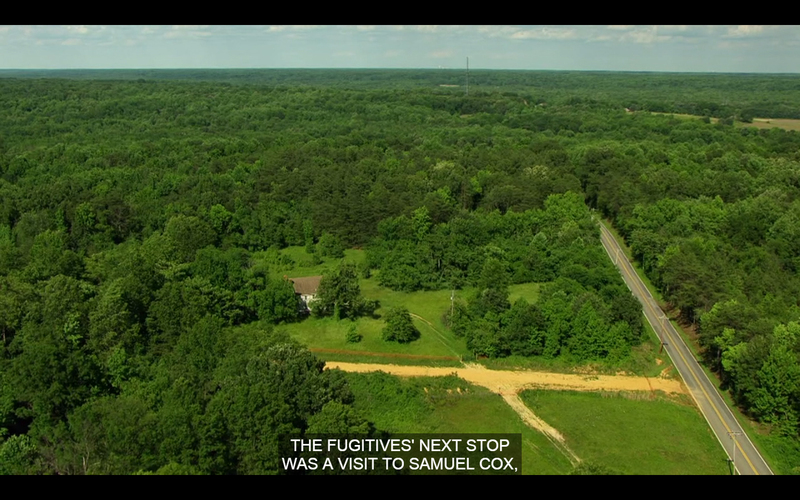 Since the 1865 crime itself, countless people have journeyed over Booth’s escape route and viewed Rich Hill in person, picturing the fugitive and his accomplice, David Herold, knocking on Samuel Cox’s door on the morning of April 16th. The following photographs follow this idea and come from a scrapbook that was created of John Wilkes Booth’s escape route in the early 1920’s. The small handmade scrapbook, which has never before been published, was recently sold at auction in January of 2015. The new owner of the scrapbook was kind enough to share these two images of Rich Hill that were contained within it. These images show the house looking much the same way as it looked when Samuel Cox owned it. The single story addition (which is no longer present on the home) contained the dining room and the bedroom of Col. and Mrs. Cox. John Wilkes Booth and David Herold, who were given a meal at Rich Hill, likely dined in this addition. Also at the time these photographs were taken (determined to be between 1920 and 1922), there was still a member of the Cox family living there. Ann Robertson Cox, the second wife of Samuel Cox, Jr., lived at Rich Hill until her death in 1930. Perhaps the people who created this scrapbook got to hear from Mrs. Cox herself about how her late husband was sent to fetch Thomas Jones the morning about John Wilkes Booth came to his door. The residence of Col. Cox, who protected Booth and Herrold [sic] from April 16th to 21st, 1865. Booth was sent to Col. Cox by Dr. Mudd. He left Dr. Mudd’s residence about 4:00 P.M. April 15th. Dr. Mudd was a personal friend of Col. Cox and both were interested in the South. 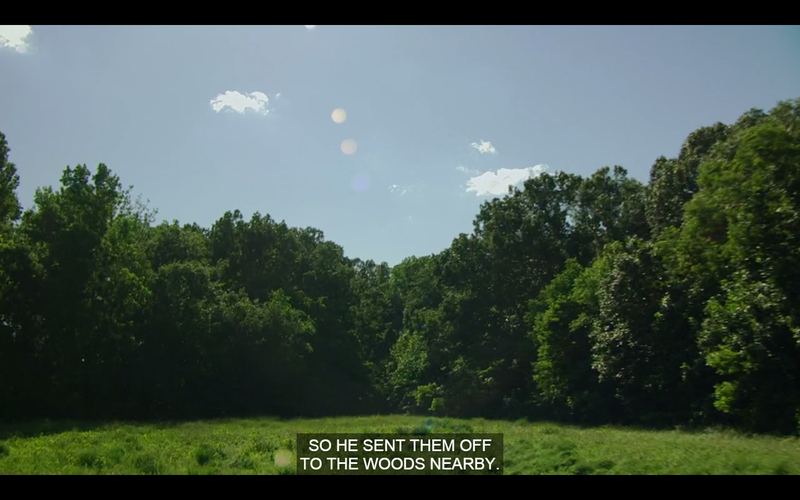 While it is likely that Dr. Mudd knew Col. Cox and it is well established that both men were “interested in the South” as stated, the idea that Dr. Mudd recommended or sent Booth and Herold to Rich Hill is unique. Though we are not sure where the creator of this scrapbook (identified only as Bessie Burns) received her information, if this was something told to her by those living at the Mudd house or Rich Hill during the trek across Booth’s escape, there may be some truth to it. We don’t believe Booth knew Cox or had met him prior to April 16, 1865, so perhaps Cox’s name was given to him by Dr. Mudd either after the assassination, or earlier when Booth was planning to abduct Lincoln and had Dr. Mudd’s support. Regardless of the caption’s accuracy, these circa 1920 photographs give us two additional glimpses into the past of Rich Hill and helps us create a visual timeline of this valuable and historic home. 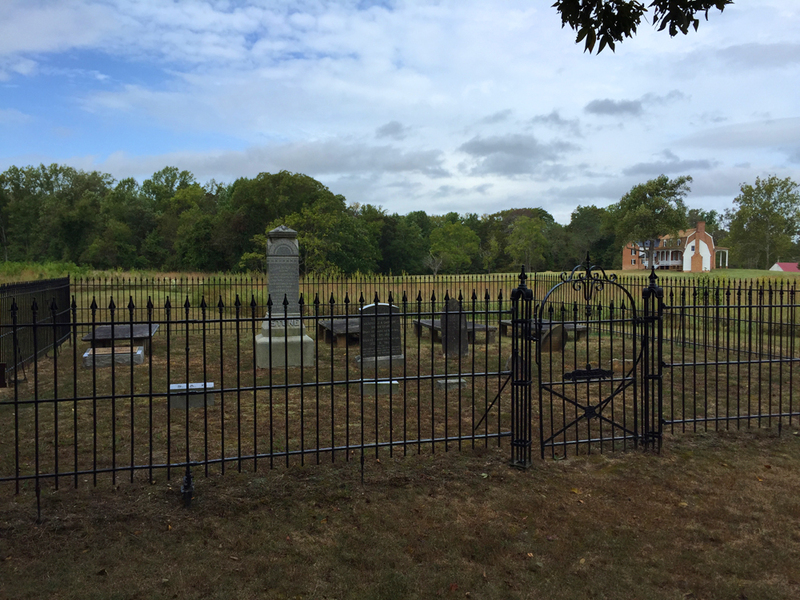 Today I visited the Thomas Stone National Historic Site in Port Tobacco, Maryland. 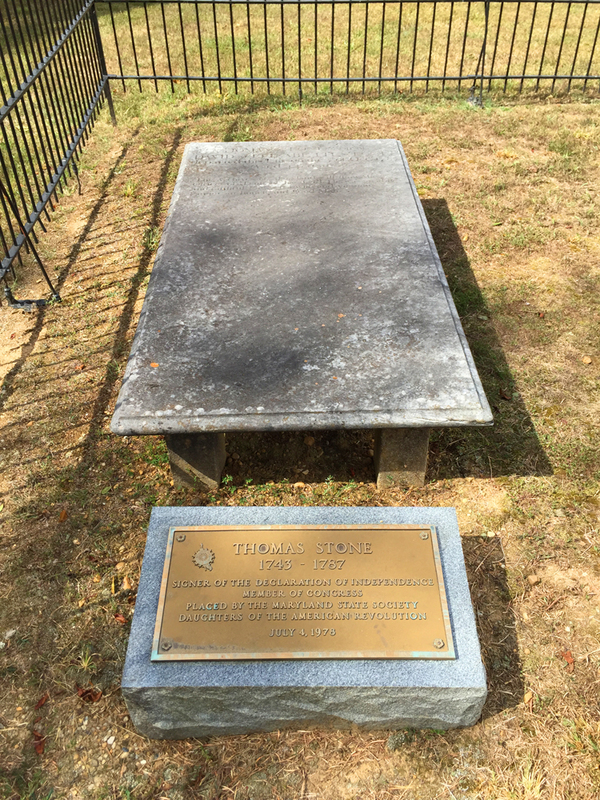 Owned by the National Park Service, the site contains the home and final resting place of Thomas Stone, one of the signers of the Declaration of Independence. Stone’s beautiful home, Haberdeventure, is surrounded by a few hundred acres of land with wonderful hiking trails and period outbuildings. 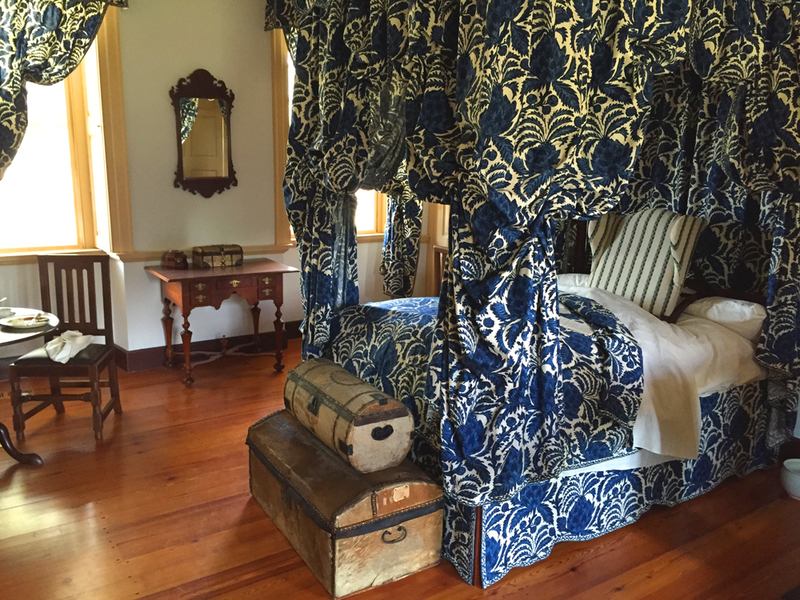 The Park Rangers at Thomas Stone National Historic Site are well versed in Revolutionary War history and give fascinating tours of the house. Thomas Stone was not the only occupant of this historic home. In fact, its other long-term resident is what connects Haberdeventure to Rich Hill, which is located less than ten miles away to the southwest. Haberdeventure was also the home of Thomas Stone’s wife, Margaret, who was born and raised at Rich Hill. Margaret Stone nee Brown was the youngest child of Dr. Gustavus Brown, Sr. and his second wife, Margaret Boyd. 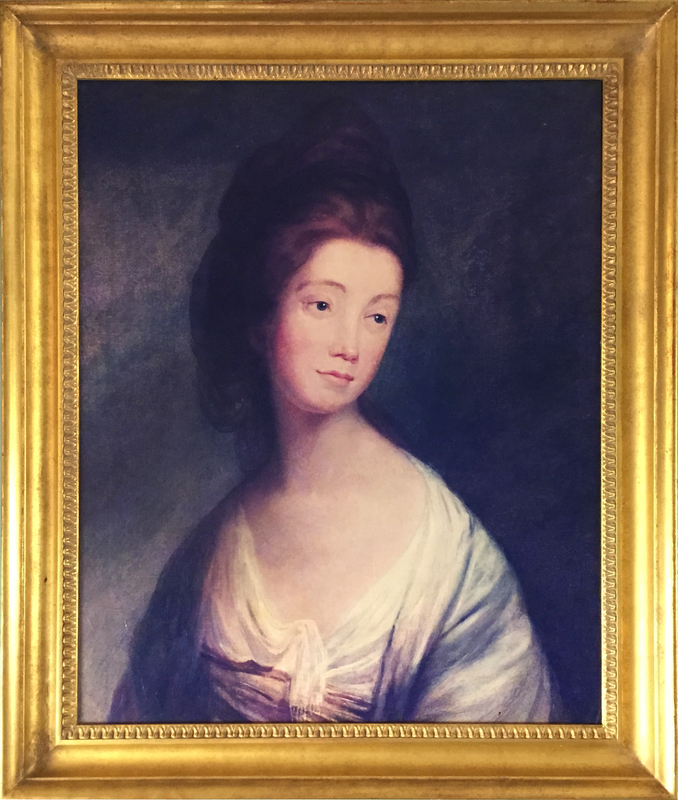 While the exact details about her life are uncertain, we know she was born at Rich Hill in 1750/1751. At a young age she made the acquaintance of Thomas Stone, another native of Charles County. The two married in 1768 when Margaret was about 18 years old and Thomas was about 25. Part of Margaret’s dowry was a large amount of money from her wealthy father, Dr. Brown. One of their descendants later wrote that Margaret’s dowry was about 1,000 pounds sterling and that this money was used to pay for the purchase and construction of Haberdeventure. Thomas Stone found success as a lawyer providing him with more than enough funds to build his dream home which was completed by 1773 at the latest. As a young woman, Margaret loved to play the harpsichord. 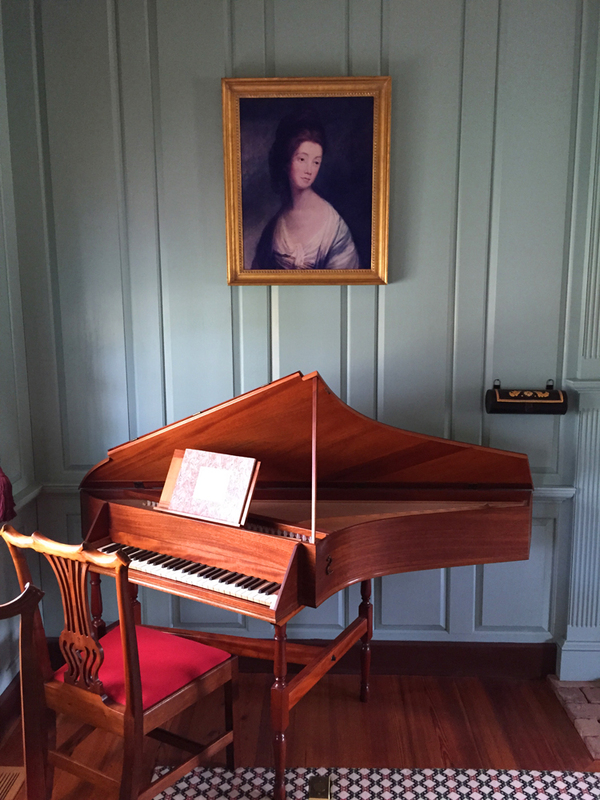 Her portrait hangs over a period harpsichord inside of Haberdeventure. Margaret and Thomas would have three children overall. In 1773, Thomas became a member of the Charles County Committee of Correspondence, which allowed the different colonies to communicate and develop plans outside of the royal government. Committees of Correspondence were effectively the predecessors of the Continental Congresses. In December of 1774, Thomas Stone was elected to join the Second Continental Congress in Philadelphia. He left Margaret and his children behind to serve Maryland in this important assembly. My heart is with you, and I wish it was in my power to see you, but many gentleman insist that I should stay to assist in deliberation on those important affairs… Pray God preserve you and bless our little ones. We are like to see times which will require all our fortitude to bear up against. At least once, Margaret did make the trek from Charles County up to Philadelphia in order to visit her husband. This occurred in May of 1776. 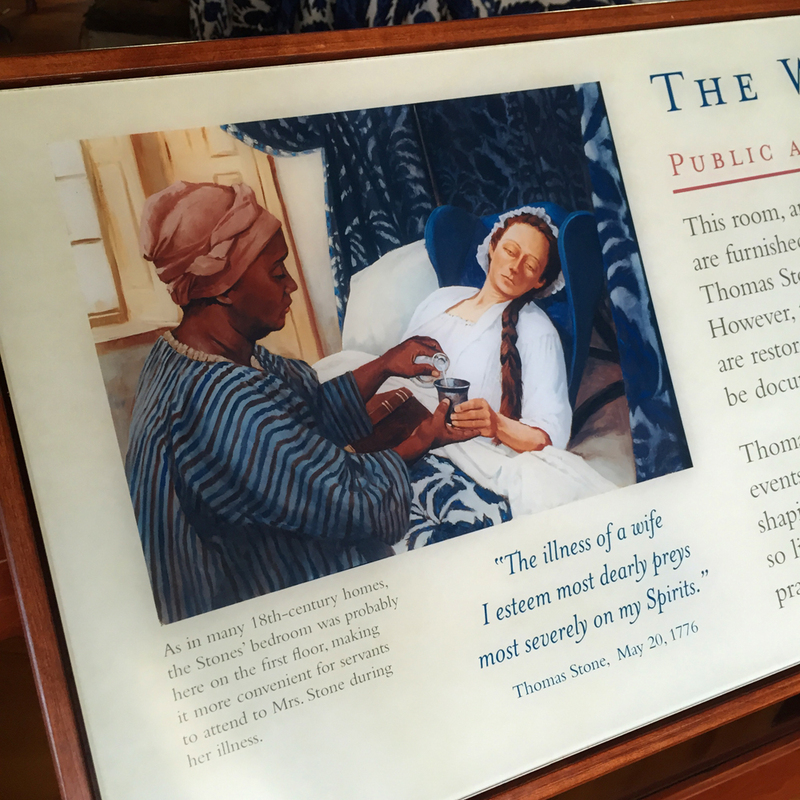 While in Philadelphia, Margaret Stone was inoculated against smallpox which was running rampant in the New England colonies. The method of inoculation was not a pleasant one. Essentially a lesion from someone who was in the “recovery” stage of smallpox was lanced, and the resulting blood and pus from the infected person was transferred into a cut of an uninfected person. This procedure would effectively cause the previously uninfected person to go through the stages of the disease but to a degree that would hopefully not cause death. The Illness of a wife I esteem most dearly preys most severely on my Spirits, she is I thank God something better this afternoon, and this Intermission of her Disorder affords me Time to write you. The doctor thinks she is in a fair way of being well in a few days. I wish I thought so. Thomas’ reservations regarding his wife’s condition were well founded. During her illness, which prove more severe than hoped, Margaret was treated with the common practice of using mercury, usually applied as an ointment. In time, Margaret would recover from the smallpox, but for the remainder of her life she would feel the ill effects of the mercurial treatments used on her. She would develop rheumatoid arthritis at a very early age due to the heavy metal poisoning. From 1776 onward, Margaret would often be a sickly and unhealthy woman with Thomas Stone devotedly caring for his beloved wife. 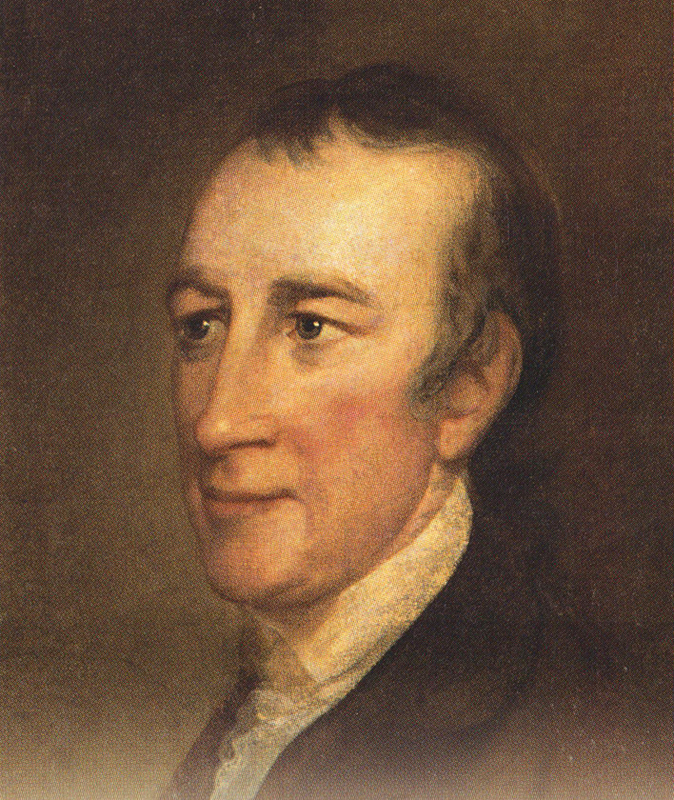 Though he had always been hopeful that a peaceful reconciliation between England and the Colonies could be reached, in the end, Thomas Stone voted in favor of Independence writing, “You know my heart wishes for peace upon terms of security and justice for America. 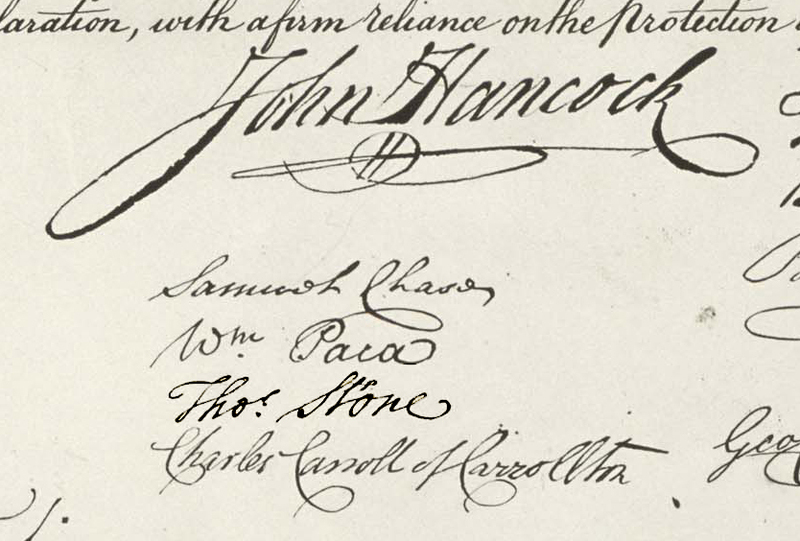 But war, anything, is preferable to a surrender of our rights.” Stone was one of the four Maryland representatives who affixed his name to the Declaration of Independence. In large part due to Margaret’s poor health, Thomas Stone would remove himself from the complicated duties that took him away from her for long periods of time. He departed the Continental Congress in late 1776, even though he was re-elected to the position in November of 1776. He would not return to the Congress until September of 1778 where he would lobby Maryland to ratify the Articles of Confederation, which he had helped develop in 1776. He would be unsuccessful and would leave the Continental Congress again to care for Margaret back home. It was not until 1781 that Maryland, the last holdout, would ratify the Articles of Confederation. The only other time that Thomas Stone would return to the Continental Congress was in 1784, when the Congress was meeting in Annapolis, Maryland. After they changed locales to New Jersey and then New York, Thomas Stone would resign from the Congress for the last time and return home to care for Margaret. Thomas Stone would eventually move his wife out of Haberdeventure and up to Annapolis where he was serving in the Senate. The change of homes did little to improve her health. 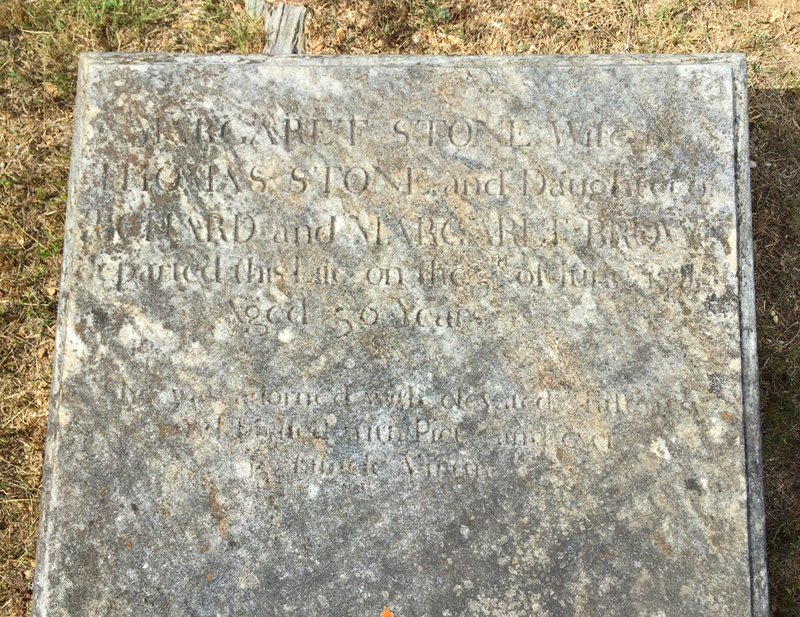 Finally, after many years of illness and pain, Margaret Brown, born in Rich Hill in Charles County, would die in Annapolis with her devoted husband, Thomas Stone, at her side on June 3, 1787. She was only 36 years old. Thomas Stone was devastated by the loss of his wife. He had her body transported back to Haberdeventure and she was the first one buried in what would later become a small family graveyard adjacent to the home. After the loss of his beloved Margaret, Thomas Stone’s own health began to deteriorate rapidly. His physicians and friends suggested that he take an ocean trip to regain his health. He traveled to Alexandria to await a ship to take him across the ocean. Perhaps he was going to sail for Scotland, where Margaret’s father, Dr. Gustavus Brown, Sr. came from. He never left Alexandria, however. 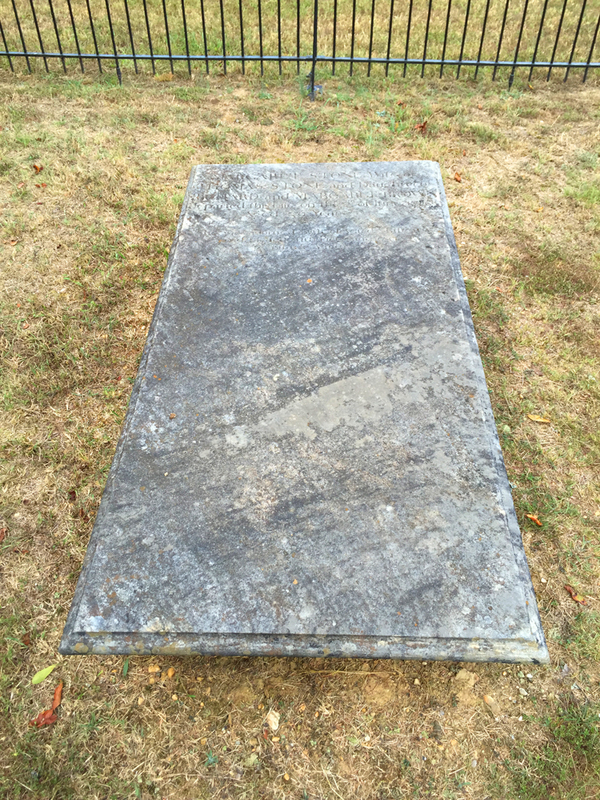 On October 5, 1787, four months after Margaret’s death, Thomas Stone died suddenly. His descendants say he died of a broken heart. He was 44 years old. Let your aim in life be to attain to goodness rather than greatness among men: the former is solid, the latter all Vanity…Seek to do all the good you can, remembering that there is no happiness equal to that which good actions afford. Be attentive and kind, and loving to your sisters, and when you grow up, protect and assist them on all occasions… I commend you to Heaven’s protection. May God of his infinite mercy protect you and lead you to happiness in this world and the next, is the most fervent prayer of your loving father. Before Thomas Stone voted for Independence and affixed his name to the Declaration of Independence in July of 1776, he weighed the decision thoughtfully and deeply. His thoughts turned not to the convictions of his peers, but to his wife, Margaret, who was always paramount in his mind. When doubts of a successful Independence loomed large in his mind, his love for her and for the future he wanted for their children took precedent. Thomas Stone wanted a nation where the rights of the individual were respected and upheld. He wanted a nation bound by the ideals that, “…all men are created equal, that they are endowed by their Creator with certain unalienable Rights, that among these are Life, Liberty and the pursuit of Happiness.” He wanted to share in such a nation with the woman he loved more than his life and more than his liberty. He wanted to create a nation filled with the happiness they shared. He helped to lay the cornerstone of that nation and then left to be with her. Margaret Stone, born Margaret Brown, shares in her husband’s accomplishments and dream for a better nation. 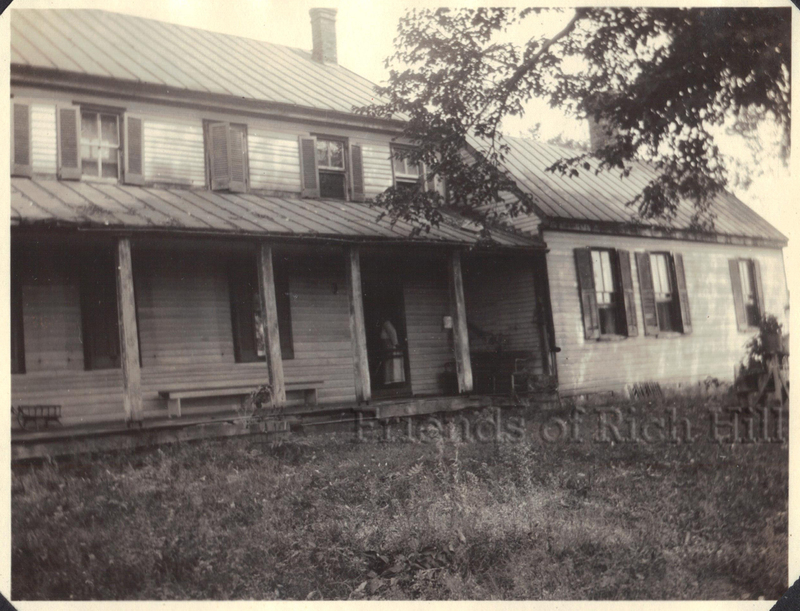 Just as their shared home of Haberdeventure has been restored and maintained for future generations, we, the Friends of Rich Hill, are working to restore her childhood home of Rich Hill. Without Rich Hill, Thomas Stone may have never met the woman who so deeply impacted his life. And, without her influencing and motivating him to work towards a better future, who knows how differently the American quest for Independence might have turned out.